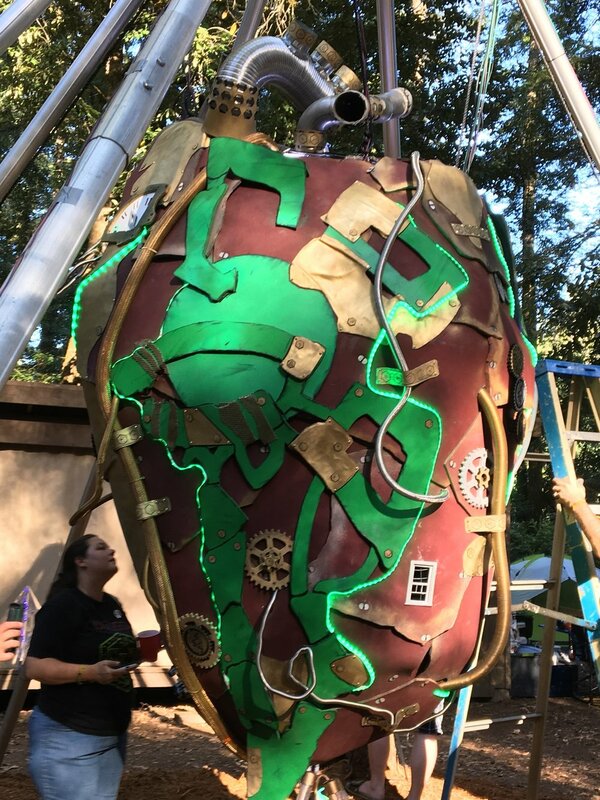 Constructed and fabricated from scavenged parts and materials, this incredible steampunk heart was brought to life at Camp Navarro for the inagural 13Magnus event. Standing 20' tall, it incorporated a motor to make the heart beat, integrated musical laser sensors to bring it to life, and gallons of xm fluid to power and light it up. Most of all, it brought together thousands of agents from across the world, forged friendships, and kindled love. Our hard work and camaraderie won Niantic's best overall installation award.